We are constantly aiming for magic. Magic happens when what you say or write causes a shift in the energy. That is the moment you – or your company – make a real difference. Experiencing that magic moment is extraordinary. We believe that everyone is capable of creating magic. The magic formula is simple: let me tell you something. 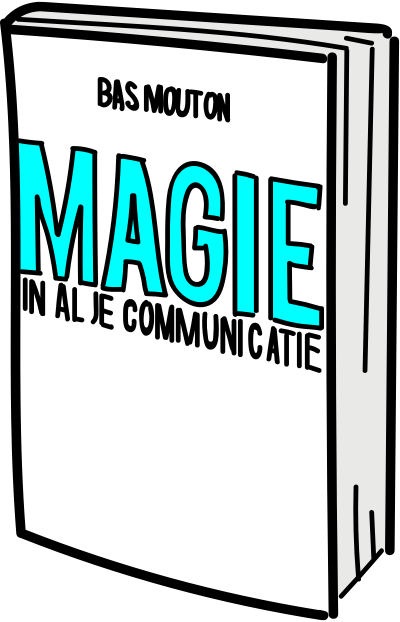 Increase your chances of magic in your communication by adding one or more of the following three elements: me, you and something. The moment you know that your story is making a difference, that’s magic. You deserve to experience infinite magic in your life. We focus on your strengths and hidden talents to make you even more powerful. There’s a lot of room for personal feedback and attention. We look for the moments when you enjoy yourself and communicate from your inner strength. You look for your own communication power. All our courses are one hundred percent camera and actor free. We make sure that you can focus on what truly matters: making an impact on your audience. We do not believe in tricks. We don’t care how high-pitched your voice sounds or how you move your hands. You get challenging assignments that offer insights into your (hidden) capabilities. You will research your own personality and discover what works best for you. You will spend a lot of time on stage, because that’s where it all happens. It doubles the speed of your progress. You are in the spotlights. There are very few abstract theoretical lessons, the focus is on discovering your qualities and enjoying yourself on stage.